In part two of this this interview social media speaker, author and agency CEO Neal Schaffer discusses why initial outreach on social media often fails and how to successfully reach out to people to find the prospecting gold you’re looking for. This creates a treasure hunt for ways you can connect meaningfully with your prospects on social media and two ways to get started are below. Hello, My name is Mark. Want to buy something? There’s a common-sense analogy about sales that I use a lot. You wouldn’t ask someone to marry you on a first date (well, hopefully you wouldn’t) so don’t push for a sale the first time you meet someone. In business the process of PROSPECTING comes first. Before social media you had to pick up the phone and call someone or physically meet with them. Today you can send a tweet, Facebook comment or LinkedIn message in a few minutes. Make your outreach relevant to them by talking about something THEY are interested in! That makes you top of mind and that’s how you get people to take your calls. The first thing to look at it, of course, their profiles. But what specifically WHAT should you be looking for? Neal tells us that looking at someone’s profile is like looking around their office and checking out what’s on their desk. Where did they go to school? What are they passionate about? What volunteer activities do they do? The second is: WHO is that person connected to? Who do you have in common and how are you connected? It might be through another person, place or shared experience. It might mutual friend that works with their company, your friend might manage a professional group they’re involved with or you might have clients in common. Discovering mutual connections provides gives you both with a reference point to start your conversation. With the strategy outline here in mind, think about a prospect that you want to reach out to. What trusted connections do you BOTH share? Search for clues, find a common ground and connect with them by commenting on one of their posts or starting a conversation on Twitter. Then take action and reach out by adding to their conversations or starting a new one based on your treasure hunt for a common ground. 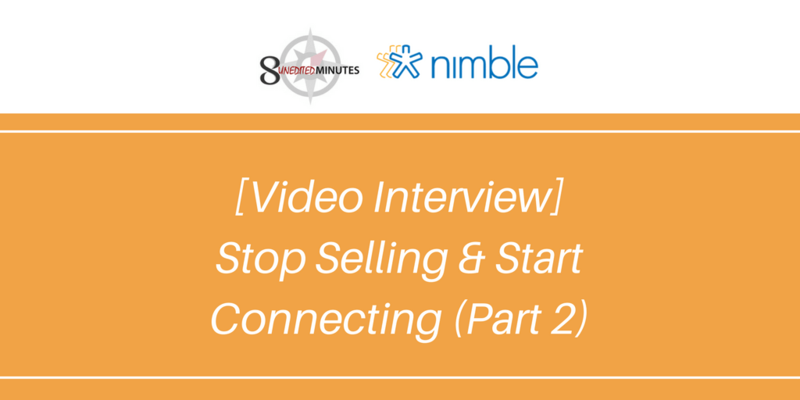 There are more 8 Unedited Minutes interviews coming to Nimble to help you grow better, smarter, faster. 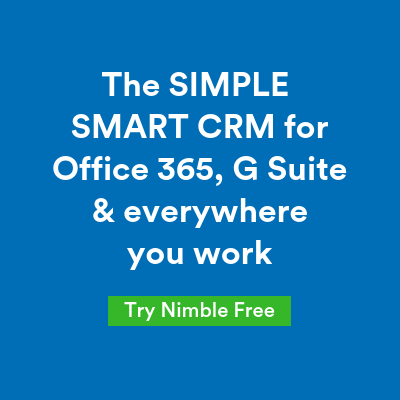 Sign up for Nimble’s free newsletter here and be the first to get the updates! 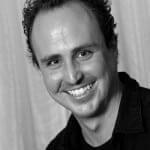 Connect with Neal so you can easily reach out to each other when you have a need. Links to his social media profiles and his email are here. For companies that want to learn more about leveraging social media, especially if things aren’t going the way you hoped, reach out and ask for help. Want to share expert advice about social selling? Reach out about setting up an interview like this one!